Rack dishwasher with 3 plate racks, 2 cup racks & one cutlery basket, 120 racks an hour.. Rack dishwasher with heat recovery system, 3 plate racks, 2 cup racks & one cutlery basket, 120 racks an hour.. Rack dishwasher with 3 plate racks, 2 cup racks & one cutlery basket, 150 racks an hour.. 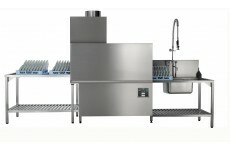 Rack dishwasher with heat recovery system, 3 plate racks, 2 cup racks & one cutlery basket, 150 racks an hour.. Rack dishwasher with 3 plate racks, 2 cup racks & one cutlery basket, 180 racks an hour.. Rack dishwasher with 3 plate racks, 2 cup racks & one cutlery basket, 220 racks an hour.. 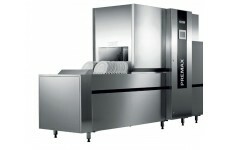 Rack dishwasher with heat recovery system, 3 plate racks, 2 cup racks & one cutlery basket, 180 racks an hour.. 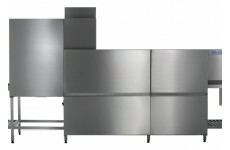 Rack dishwasher with heat recovery system, 3 plate racks, 2 cup racks & one cutlery basket, 220 racks an hour.. Rack dishwasher with heat recovery system, vent free heat pump, 3 plate racks, 2 cup racks & one cutlery basket, 120 racks an hour.. Rack dishwasher with heat recovery system, vent free heat pump, 3 plate racks, 2 cup racks & one cutlery basket, 150 racks an hour.. Rack dishwasher with heat recovery system, vent free heat pump, 3 plate racks, 2 cup racks & one cutlery basket, 180 racks an hour.. Rack dishwasher with heat recovery system, vent free heat pump, 3 plate racks, 2 cup racks & one cutlery basket, 220 racks an hour..